Wood and other forms of solid biomass were, for millennia of human history, the dominant fuels for cooking, heating, and lighting. More recently, the industrial revolution was enabled by a transition away from the use of wood to coal, and since that time, people in some regions of the world—like the United States and Europe—have reaped dramatic benefits from the use of fossil fuels like coal, oil, and natural gas. At the same time, water and conventional air pollution directly resulting from extracting and burning fossil fuels have taken a toll on human health. And global climate change—which is being driven largely by the greenhouse gas (GHG) carbon dioxide (CO2) produced when burning fossil fuels—threatens uncertain but likely very substantial economic and social costs, including adverse impacts for many who have yet to experience the full benefit of the use of fossil fuels. Today only 1.1 percent of the Commonwealth of Pennsylvania's electricity is generated from biomass, and while biomass will almost certainly never become the dominant fuel for the electricity sector in the United States, it is still worth including as part of a menu of GHG mitigation strategies. Very deep reductions in carbon emissions will ultimately be necessary. There are a few compelling reasons to consider biomass. While climate change mitigation efforts for the electricity sector have generally focused on incrementally curbing CO2 emissions, very deep reductions in carbon emissions will ultimately be necessary. 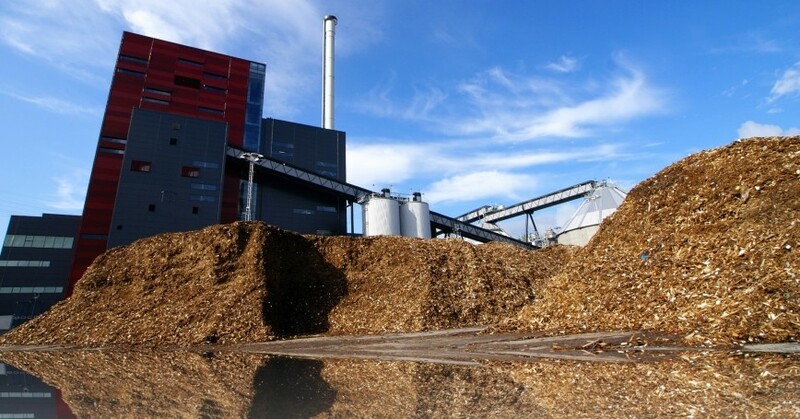 If net negative GHG emissions are required, one approach would be burning biomass in conjunction with capturing CO2 emissions in a process referred to as bioenergy with carbon capture and storage or BECCS. Another reason to consider “going back” to biomass is that it that doesn't suffer from intermittency like solar and wind and is inherently amenable to storage. It also hybridizes logically—if not always seamlessly—with the burning of fossil fuels. But unlike solar and, to a lesser extent, wind, biomass-based fuel is not a virtually infinite and “free” resource. This is because biomass also has value as food for humans and animals and, of course, as both the framework and substance of natural ecosystems. Which leads this discussion to the inherent factors that will ultimately limit the widespread use of biomass for deep carbon reductions. One major drawback to using biomass is that accurately estimating the carbon footprint of biomass-based electricity is extremely complex and depends dramatically on the specific choice of fuel and how it is used, not to mention how you attribute and account for emissions. In and of itself this makes biomass a politically unappealing fuel—what decisionmaker wants to deal with complexity, variability, and uncertainty? RAND spent several years thinking about the potential to co-fire biomass fuels in existing coal-fired power plants, in work supported by and in collaboration with the Department of Energy's National Energy Technology Lab (NETL). We found that this approach is a potentially cost-effective, near-term way to take the edge off of CO2 emissions for the electricity sector. More recently, an analysis of 60 scenarios of co-firing biomass with coal and natural gas found CO2 abatement costs around $30 to $40 per metric ton of CO2, values which compare favorably with other options for CO2 abatement. However, this approach has limits, including the fact that co-firing the “low-hanging fruit” biomass would lead to rising costs of the next unit of available fuel. But while biomass is clearly not a deep decarbonization silver bullet, decisionmakers shouldn't simply write off its potential to help us on our path to deep carbon emission reductions for the electricity sector. 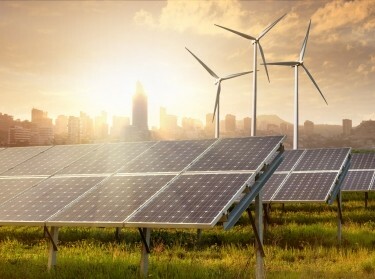 Unfortunately, for this renewable electricity source more than any other, the devil is in the details, and in order to make sure we are actually realizing the climate mitigation benefits of biomass fuels, we'll have to find ways to appropriately and consistently account for associated GHG emissions. This means we will need decisionmakers who are comfortable with uncertainty and willing to tackle complexity, and who will roll up their sleeves and work with experts in government agencies and the broader scientific community to sort through the best overall portfolio of solutions for mitigating climate change. 1.6 percent of U.S. electricity overall comes from biomass. Both values were calculated from EIA data on net generation by source (thousand megawatts). Some of the other downsides and complexities—from logistics and costs to concerns from the environmental advocacy community—are discussed by B. Paulos. 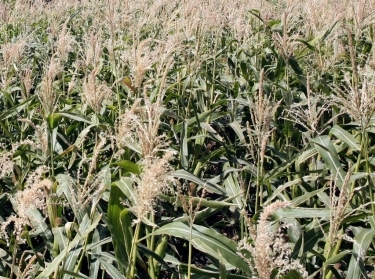 Some “facts and myths” about bioenergy are discussed in the companion piece. Estimating marginal abatement cost for different energy technologies involves many assumptions (e.g., geographic location, fuel mix of existing electricity supply, technological progress of competing technologies) and is a field of study in its own right. However, for some ballpark numbers of abatement costs for a range of low-carbon technologies, see Figure 4.6 in this EIA report (PDF). The National Renewable Energy Lab (NREL) estimated (PDF) both the technical and economic potential of biopower in the United States and concluded that Pennsylvania had the technical potential to support approximately 2 GW of biopower and supply 13.4 TWh per year, where biopower includes both solid biomass potential and biogas such as methane. Including economic factors, the potential dropped considerably (PDF) to 0.8 GW of potential capacity and 6.6 TWh of electricity generation per year. Aimee Curtright is a senior physical scientist at the RAND Corporation and a professor at the Pardee RAND Graduate School. Sara Turner is a doctoral candidate at the Pardee RAND Graduate School and an assistant policy analyst at RAND. This commentary originally appeared on Pennsylvania Environmental Council on February 10, 2017. Commentary gives RAND researchers a platform to convey insights based on their professional expertise and often on their peer-reviewed research and analysis. David S. Ortiz, Aimee E. Curtright @ACurtright, et al.